We believe that having a uniform helps create a sense of identity and encourages self-respect. Smartly dressed young people give a good impression of themselves and their Academy. We rely on the support of parents in ensuring that our young people come to the Academy dressed appropriately, and presented smartly. Academy light blue polo shirt with logo or a plain polo shirt or white formal shirt or blouse. Black leggings under the skirt for girls where appropriate. Jewellery is not allowed, except for one pair of ear studs. Earring hoops, rings, nail varnish and makeup are not allowed. All children must wear a PE kit during PE and sporting activities for safety and hygiene reasons. 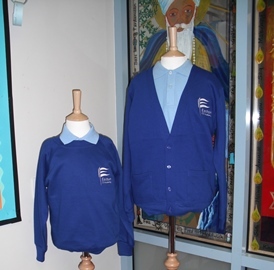 We expect all of our pupils to wear the Academy uniform with no additional items.